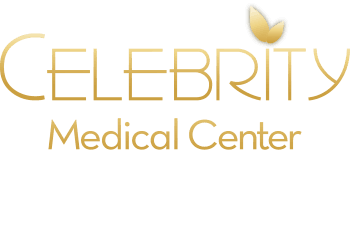 At Celebrity Medical Center, we treat everything found in a typical Primary Care Office. However, we spend more time and provide more comprehensive programs for assessment and intervention using both conventional and alternative medicine. Hormonal imbalances (not just deficiencies): Hypo and Hyperthyroidism, Adrenal Gland Disorders, Ovarian and Testicular disorders, Growth Hormone issues, Diabetes, Metabolic Syndrome, Insulin Resistance, Pituitary Problems. Inflammatory and Autoimmune Conditions: Hashimoto thyroiditis, Lupus, RA (Rheumatoid Arthritis), Mixed connective Tissues Diseases, Fibromyalgia, Lyme, EBV, CMV, Hepatitis, GI infections, Chronic Yeast and other Fungal infections. Allergies and Sensitivities: Inhalants, Foods, Chemicals. We offer conventional IgE allergy testing as well as more comprehensive Food and Chemical Allergies (IgE, IgG, IgM, IgA) and Sensitivities (Complements). Treatment can provided using conventional customized injections for inhalants based on scratch testing as well as for foods, inhalants and chemicals using LDA/LDI (Low Dose Allergen/Low Dose Immunotherapy) treatments. GI (Gastro-Intestinal) Issues: Nutrient deficiencies, Malabsorption, Indigestions, Liver diseases, Hepatitis, Exocrine Pancreatic Insufficiency and Pancreatitis, Acid Reflux Disease, Peptic Ulcers, IBS, Crohn's and Ulcerative colitis, Food allergy and Sensitivities, Gluten Allergy and Celiac disease, Yeast/Candida infections, SIBO - Small Intestinal Bacterial Overgrowth, C. difficile. CNS (Central Nervous System) disorders: Depression and Anxiety, Memory Loss, Brain Fog, Insomnia, ADD/ADHD, Autism. Cardiovascular, Respiratory, Renal and Urological conditions. What are you on, are they appropriate for you, how they interact with everything else you do and take. Provide you with customized supplements and IM/IV nutrient replacement based on your deficiencies and requirements. Requires evaluation of overall balance, vascular and nerve supply and function, hormonal balance, exercise tolerance for both men and women. Alzheimer’s, Parkinson’s, ADHD, Autism, Depression, Anxiety, Panic Attacks, Seizures/Epilepsy, Neuropathies, Nerve Pain, Postherpetic Neuralgia, Dizziness, Light Headedness, Neurotransmitter balance and restoration. What is elevated, decreased, missing and why. What can be done to balance them out and optimize. Your interaction with us starts with free meet and greet appointment: this is a social appointment arranged for you to get to know the providers and get a tour of our facility to decide for yourself if this something that you would be interested in having us as part of your medical care providers. Prior to your arrival for the initial visit we will provide you with the necessary intake form that you can fill out on line and submit to us via a hippa compliant route. During your initial appointment we will go over your concerns, needs and goals, obtain your vital signs, body composition analysis and perform comprehensive physical exam. Then we will discuss your options for further assessment and management. You will have a separate appointment scheduled for your lab work and other investigations with the average follow up 2-3 weeks post the day when your lab work was drawn. Your lab work appointment: we will need you to come in the morning after fasting over night with nothing by mouth except your medications and water. You will need to provide blood, urine and occasionally saliva specimens during this visit so plan accordingly. For women who are still having their periods we will ask you to come between 15th and 20th day of your period starting from the 1st day of your menstrual flow to make sure that we assess you at a specific time of your cycle. For women who no longer have their periods or have irregular periods – you will need to come any time at your scheduled appointment. This will be scheduled 2-3 weeks post your blood draw. It will take about 1 hour for us to go over all the results and provide you with your plan of action. We will then work on implementation of the plan at a pace that you can easily handle, giving you support and reassessment along the way to make sure you get the best outcomes possible.